While Volvo is still often known for the tall, square wagons it no longer makes (they're crossovers now), it has always sold sedans. And they've changed, a lot. 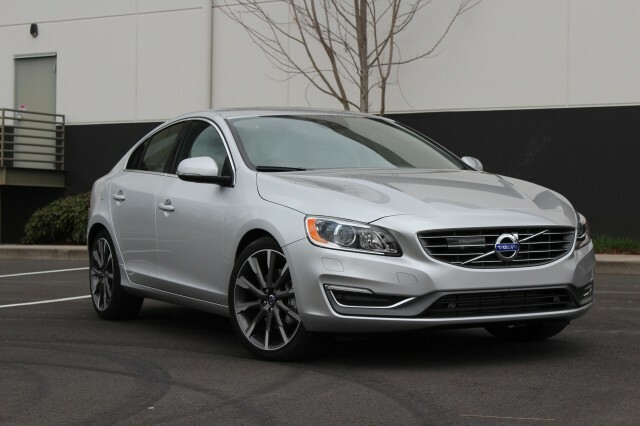 The 2015 Volvo S60 may come as a shock to those still thinking of slab-sided, square Scandinavian sedans. This year's S60 combines the traditional virtues of Volvo--outstanding safety, straightforward and functional interiors--with a remarkably sleek and striking shape. There's also a choice of several powertrains, which skew either to high fuel efficiency (for the front-wheel-drive models only) or high performance (for AWD and sportier variants). So hit the 'Reset' button on those preconceptions; the Volvo S60 is the snappy, safety-minded harbinger of Swedish cars to come. Last year, it was lightly restyled--especially at the front--and this year it gets two new engines options. Both combine higher power and faster acceleration with much better fuel-economy ratings than their predecessors. But they only come with front-wheel drive, so if you're among the 40 percent of S60 owners who need all-wheel drive, the older engines will remain your choice for a few more years. It's the shape of the S60 that makes it the most noticeable Volvo on the road. The wedge shape tapers at both ends, sitting on large wheels that give it a sleek and powerful stance. Inside, it's mostly Scandinavian simplicity that's smart and stylish but may appear minimalist against more lavish interiors from luxury brands. High-quality materials, pleasing textures and that 'floating' center stack give the car a decidedly hip vibe over some of its more traditional competitors. The exterior of the car was updated last year with a new front grille, bumper, and hood, plus new headlights that include LED running lights. Even six years into its model run, the Volvo S60 gets superb safety ratings. It aces all tests, including the latest and toughest, from both the IIHS and the NHTSA. On top of that, it adds a comprehensive suite of standard and optional electronic safety systems. That list includes Corner Traction Control, which allocates torque across the car to enhance grip in aggressive maneuvers; a radar-based Pedestrian Detection with Full Auto Brake that identifies and brakes for pedestrians or cyclist in the road if the driver doesn't; and a Blind Spot Information System that includes cross-traffic alerts. Then there's the S60 R Design model, with its long list of performance upgrades, for those few buyers who may consider taking their Volvo onto the race track. Those modifications include a more powerful 325-hp version of the T6 3.0-liter turbo six, providing an uninterrupted rush of power when you need it, accompanied by a smooth, strong, and sweet sound. Unfortunately, the six-speed automatic isn't always as quick on the response as you might want, making the car not quite as sharply-focused as traditional enthusiast sedans like the BMW 3-Series or the latest Cadillac CTS.